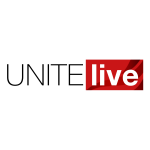 Unite has condemned the sentencing of 26 Turkish Renault trade union members to a suspended prison sentence for peacefully protesting outside a company plant. The workers were found guilty of “disobeying the law on meetings and demonstrations” after protesting in March 2016 outside Renault’s Oyak plant over the dismissal of 60 workers who were members of the Birleşik Metal-İş trade union. After being subjected to police brutality and unlawful detention, the workers were handed a five month jail sentence suspended for five years. Their punishment is part of a wider campaign of oppression against trade unionists, journalists and political opposition by the increasing authoritarian Turkish state. Renault’s Oyak plant had been the subject of unrest in recent years, following attempts by the management to limit workers’ freedom of association. After cancelling a union election in February 2016, the firm dismissed 60 workers, including union representatives, and then forced an additional 400 workers to resign under the threat that they would not receive severance packages if they were dismissed. The firings and targeting of Birleşik Metal-İş at the plant prompted the protests. Unite is supporting Turkish Renault workers in their demands for the right to organise and expressed outrage at the court’s decision. Even though Renault was not involved in the judicial persecution of the workers, Unite believes the company bears responsibility for having failed to solve the dispute through social dialogue, rather than calling the police to repress the workers in 2016. As a result, Unite believes Renault is in violation of the Global Framework Agreement signed with IndustriALL Global union federation in 2013. Unite joins with IndustriALL Global and Europe in calling on the company to address this unacceptable violation of the Global Framework Agreement. Tony Burke Assistant General Secretary of Unite said, “This sentencing, combined with the arrests and intimidation of trade unionists at the Istanbul airport site and the horrific assassination of Abdullah Karacan of DISK confederation, is part of the ongoing targeting and criminalisation of independent trade unions and all opposition in Turkey.